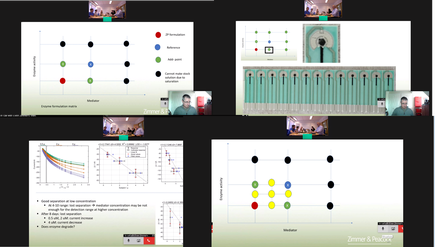 Welcome to this week's newsletter from CeeLab. 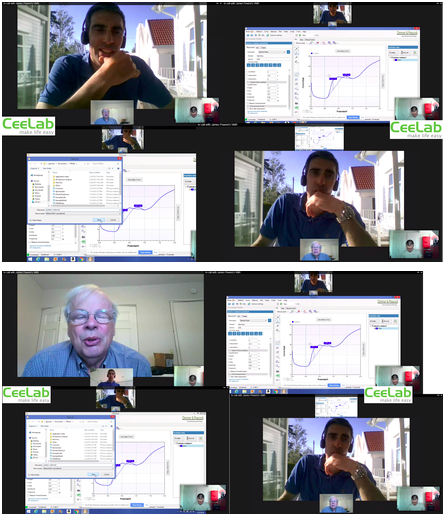 This newsletter is a mixture of news and stories from Ceelab. If you want to subscribe to our newsletter or have any questions regarding our Cloud Video Conferencing please don't hesitate to contact us. How do you provide live customer support for applications, software and hardware? The answer at our partner company is that they use CeeCloud powered by Videxio. In a recent call an engineer operating out of Oslo Norway was able to support a scientist in Napa California, whilst a third team member joined in from Cambridge UK. 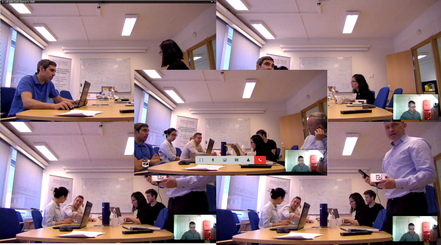 In this three way Cloud Video Call all the participants could see and hear one another, whilst simultaneously sharing content from their computers and Macs so the trainer and the trainee could see what the other was doing. The power of CeeCloud Video Conferencing means you can easily transfer knowledge, ideas and understanding amongst your team and with customers , without anyone leaving their office or home. Please contact CeeLab to find out how to unlock the power of national and international collaboration and training without travel. 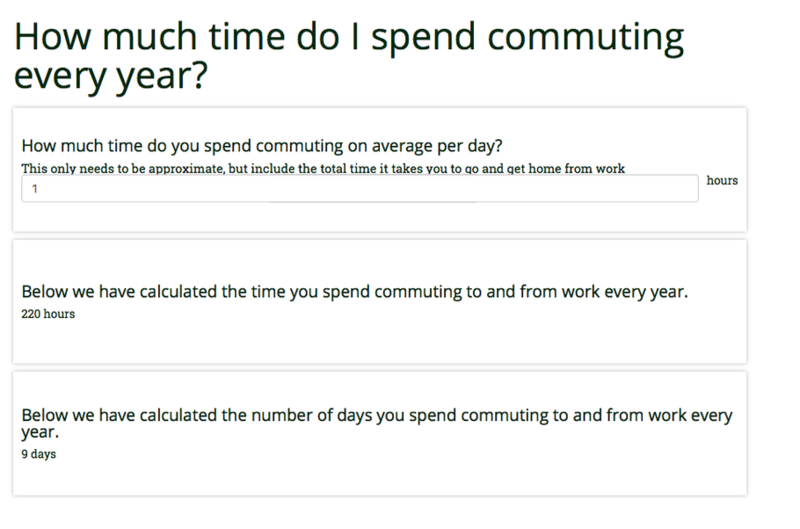 How much time do you spend commuting to work? Visit our website to work it out! What's a CEO's most valuable asset? If you ask most CEO's what's their most valuable asset you will often hear it is ' people and time'. At CeeCloud we are all about giving people back time. We think that Cloud Video Conferencing is one of the most effective ways of getting time back, as a frequent use of Cloud Video Conferencing means less traveling and less commuting. A Cloud Video Conferencing system allows you to see and hear the other participants, it allows you to be hear and seen in turn and it allows the sharing of content. If you could save 1 hour of travel time for 1 person per week that accounts for 44 hours per year; that is equivalent to getting back 6 extra working days per annum for that person. Across even a small company that is a massive saving. Please contact CeeLab to get a free demonstration of Cloud Video Conferencing and a consultation on how Cloud Video Conferencing can save you time. How long is your commute to the office? If it's 45 minutes then you are spending over 7.5 hours a week and 30 hours a month and 330 hours a year commuting to the office. 1) You can work from home/coffee shop more often thus avoiding the commute, and maybe go into the office 2 or 3 days a week to meet colleagues face-to-face. 2) Avoid the rush hours; the rush hour is problem generated by everybody needing to be in the office at approximately the same time and all leaving at approximately the same time. How often have we heard people say 'my commute is 20 minutes without traffic and 45 minutes with traffic'. With Cloud Video Conferencing you can meet people at 9 AM via the Cloud Video Conference from home and then travel to work at 10 AM when the traffic has died down. If you are frustrated by the daily commute and think there's a better way then you are right, please contact CeeLab to find out how Cloud Video Conferencing can save you time.